Finally, your weekly fix of “Triple-T” (aka: “Trailer Time Thursday!”) has arrived!! No big descriptions of the movies this week, but the release dates are included along with the links to the IMDB pages for the titles below. Check them out and ENJOY!!! Spotlight Trailer of the Week. The full trailer for this upcoming film is here. 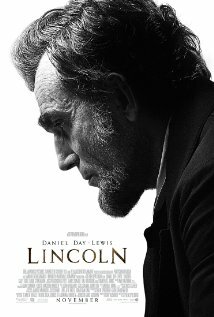 Lincoln, starring Daniel-Day Lewis, Joseph Gordon-Levitt, Tommy Lee Jones, (and a few other actors who have 3 names in their professional name) looks so great! Directed by Steven Spielberg, I expect this to be a amazing film portraying the 16th president without an axe for killing vampires. Look for Lincoln on November 16, 2012. Watch the amazing trailer with Spielberg’s hand all over it and let me know your thoughts! My favorite trailers from today: Lincoln, Everybody has a Plan, and Wreck-It Ralph. Which ones are your favorites?? Limited Release: The Master, Arbitrage, Liberal Arts and more. The new Wreck it Ralph trailer is nearly 100% different, and yet still awesome. That’s a great sign. “Everybody has a Plan” looks super good! man I want to see that. and a great trailer for Wreck-It Ralph makes me even more excited to see it. Me too Issy! Thanks and welcome. Are you looking forward to any of the movies in the final leg of 2012? Love the look of Wreck It Ralph! Every time I see it, I get all sorts of nostalgia feelings! Brilliant. Quartet looks great, simply for the cast. Intense. But good. I am intrigued by the last quartet. But Ralph is pretty good!